The advent of hub motors as lightweight, and highly efficient alternatives to chain/belt drive motors have made it a mainstream feature in e-scooters. Most if not ALL modern e-scooters all come with hub motors these days so we thought it apt to start a discussion on hub motors and the technologies associated with them. Now first of all, why do most e-scooters use hub motors? The short answer is that hub motors are much lighter weight, more compact, and much more silent than chain/belt drive motors. The downside is that changing tires on hub motors wheels are abit more complicated than non-hub motor types. In terms of energy transmission, chain drives have the highest power to torque efficiency, followed by hub motors and belt drives. However, the advantages of the hub motor outweigh that slight loss in efficiency enough to make the hub motor a viable alternative. 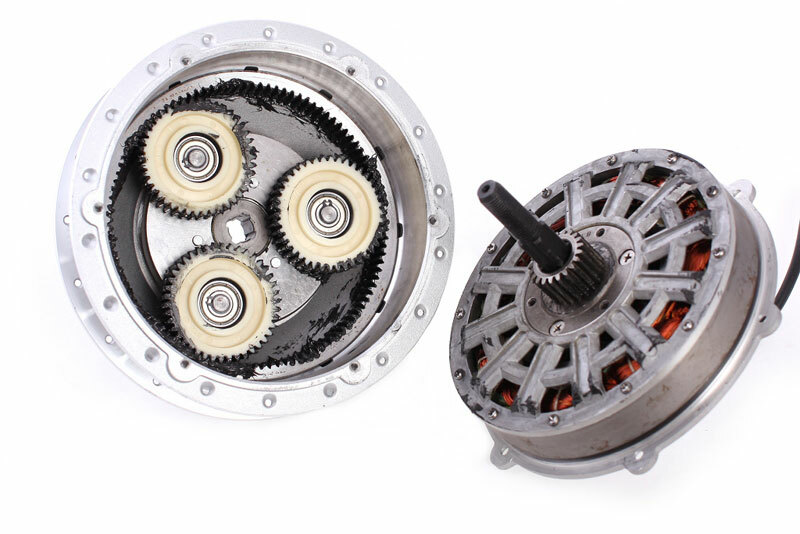 In general, there are 2 types of hub motors: gearless and geared brushless hub motors. Gearless or direct drive hub motors use magnets to create the motion, are always engaged and have regenerative braking function. The “always-on” nature of the hub motor is both a good and bad thing in that it helps to create the friction necessary for regeneration of the battery but it also creates drag in the motor. On average, the regenerative function can add an additional 10% distance travelled on a full charge. However, this does not take into account the loss in efficiency due to the drag created. 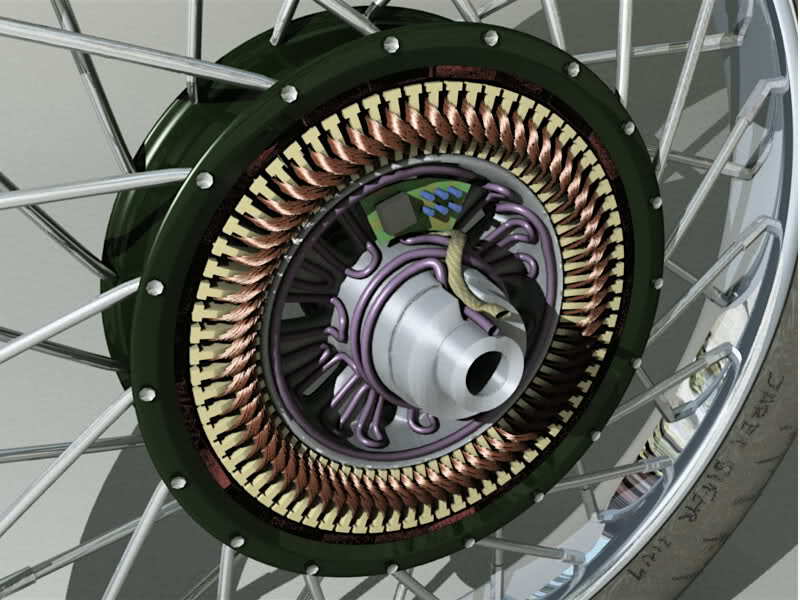 The geared hub motor on the other hand, does not have regen braking functionality because unlike the gearless motors, they are not “always-on”. When the motor is not turned on, they are not engaged and hence, are able to free-wheel. The brushless geared hub motor will feel just like a normal bicycle when being pushed (without power). This free-wheel feature gives it more efficiency over its gearless version. The planetary gears inside the geared hub motor can spin very fast and generate alot of torque and power. To feel the difference between the two, try riding the Goboard (gearless hub motor) and the MYWAY (geared hub motor). You will feel that the MYWAY can free wheel much better, and can climb steep slopes much better. It also has much farther range because of the free wheel function. Previous: Previous post: Why aren’t solar powered E-Scooters practical? Next: Next post: Updates on the Singapore Electric Scooter Scene!